FX Networks will be bringing fan favorite Archer and the new series What We Do in the Shadows to the New York Comic Con. 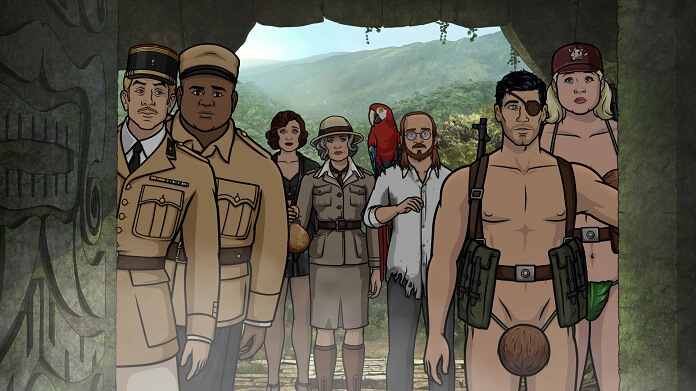 Archer season 10 will be closing out this year’s NYCC with with a panel on Sunday, October 7th at 4:30pm ET. What We Do in the Shadows will present their first NYCC on October 7th at 12pm. Archer cast members expected to attend include H. Jon Benjamin, Aisha Tyler, Jessica Walter, Chris Parnell, Amber Nash and Lucky Yates. What We Do in the Shadows, based on the critically acclaimed film of the same name, will be represented by Jemaine Clement, Taika Waititi and Paul Simms. Clement and Waititi co-wrote, co-directed, and starred in the 2014 theatrical release. Simms worked with Clement and Waititi on Flight of the Conchords. Based on the classic cult film of the same name, FX presents an exclusive screening of its new vampire comedy What We Do in the Shadows, followed by a spirited discuss ion with Executive Producers Jemaine Clement, Taika Waititi and Paul Simms. Set in Staten Island, What We Do in the Shadows follows three vampires who have been roommates for hundreds and hundreds of years. Following the screening, fans will have a chance to hear directly from the producers about the unending ennui of everyday immortal life that mere humans take for granted. The series will debut on FX in Spring 2019. Archer is FXX’s Emmy Award-winning, animated comedy that, in its upcoming 10th season, centers around the spaceship M/V Seamus as Archer, Lana, and the rest of the crew explore deep space and try to outsmart space princes, intergalactic pirates and vicious bounty hunters. Come see a not-to-be-missed exclusive sneak peek of the upcoming season and then join the voice cast of H. Jon Benjamin, Aisha Tyler, Jessica Walter, Chris Parnell, Amber Nash and Lucky Yates, plus Executive Producer Matt Thompson as they discuss bringing this animated series from script to screen.